This feature is part of a monthly series profiling scientists and technicians who provide exemplary contributions to the mission of NOAA’s Office of Response and Restoration (OR&R). This month’s featured scientist is Kim Albins, emergency management planning specialist for OR&R’s Disaster Preparedness Program. Kim’s first job after college was working for NOAA’s Coral Reef Ecosystem Division (CRED) where she was hired as a marine debris specialist. Kim learned firsthand the impact of marine debris in remote locations. A highlight was freeing a Green Sea Turtle from marine debris in Pearl and Hermes Atoll in the Northwestern Hawaiian Islands. Image credit: NOAA. When Kim Albins first began working at NOAA, nearly 20 years ago, she never expected to see her role transform over the years from that of a marine biologist to an emergency management planning specialist. Kim had discovered her love for marine science before high school. Growing up in Mobile, Alabama, she had ample opportunity to frequent the beach and learn more about its inner workings. In her sixth grade science class, taught by her mother, Kim visited the Dauphin Island Sea Lab and was immediately taken with the marine animals she saw. Field trips to Dauphin Island became a yearly staple. 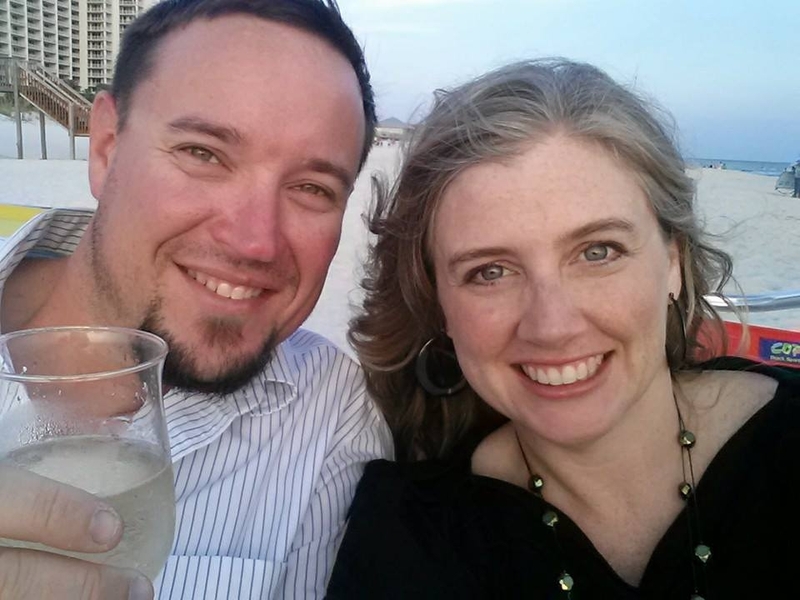 Kim had started her undergraduate studies at Birmingham-Southern College, when a friend asked Kim if she really was going to pursue her dream or instead do something more practical. Birmingham was more of a traditional liberal arts school, with little opportunity for advancing into the serious sciences (other than medicine). Reinvigorated to pursue her dream, Kim began her search for a new school. After looking throughout the U.S. for a marine science undergraduate program, Kim set her sights set on Hawaii. Kim received her bachelor’s degree in marine science from the University of Hawaii at Hilo in 2001. 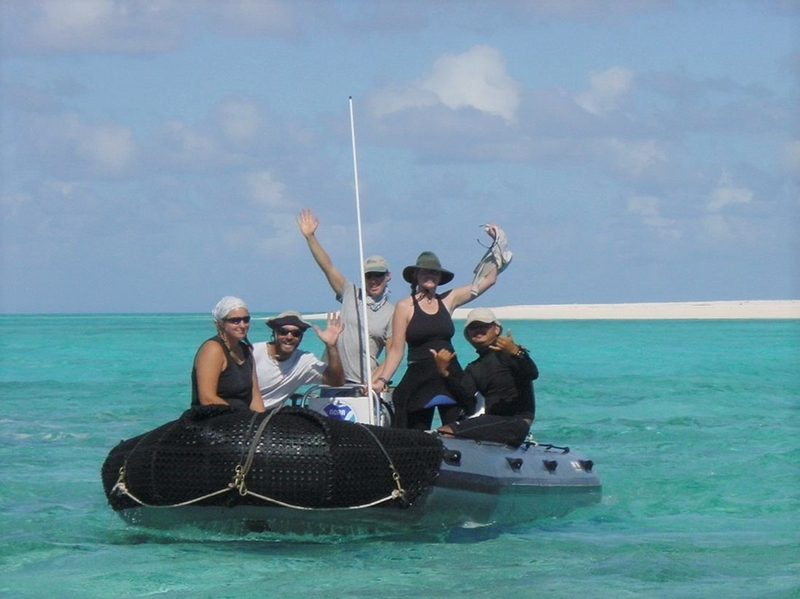 She was hired immediately after by NOAA’s coral reef ecosystem investigation office — now a division within NOAA Fisheries — to do marine debris removal work in the Northwestern Hawaiian islands. She started in the summer of 2001 and continued working with them through 2006 shifting focus from marine debris to coral reef ecology. Kim worked on a variety of diving operations with NOAA spending large chunks of time out at sea. In total she spent over 500 days, she said, with her longest trip lasting about three months at sea. 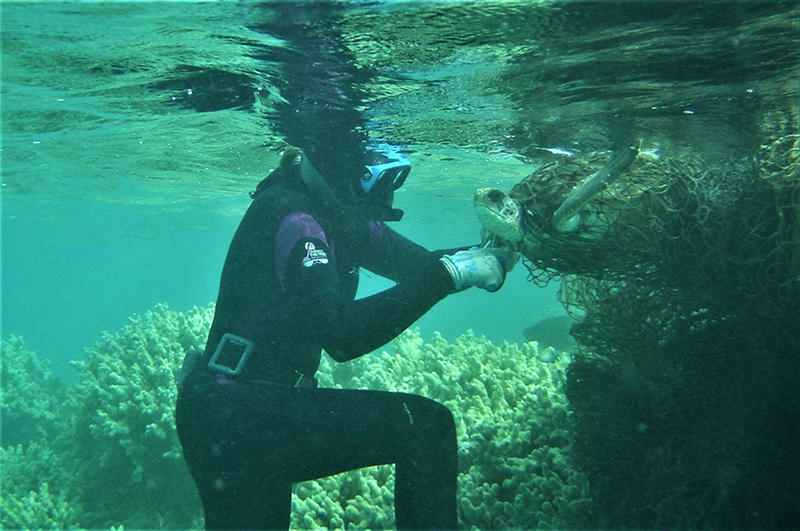 While working for NOAA, Kim began pursuing a master’s degree in benthic coral reef ecology and seaweed from the University of Hawaii at Manoa. 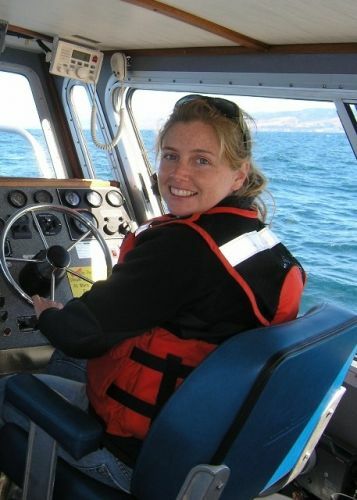 Following her fiance at the time to Oregon, Kim then got a position with the Partnership for Interdisciplinary Studies of Coastal Oceans (PISCO). 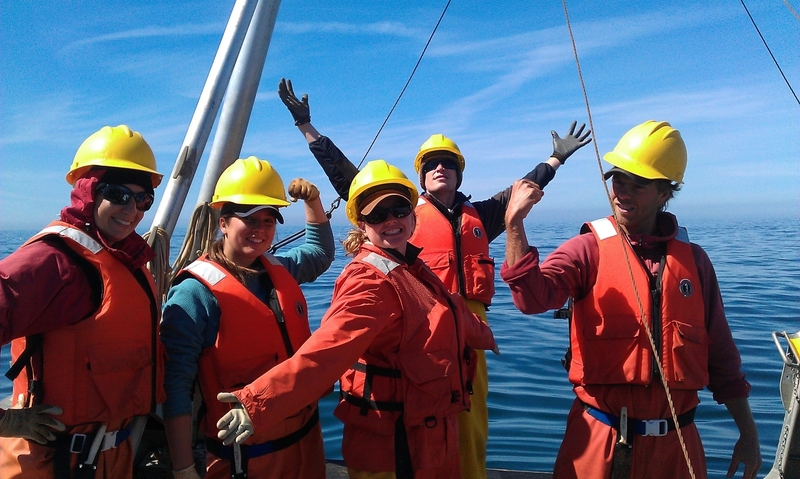 As their physical oceanography research assistant, Kim was in charge of PISCO’s nearshore oceanographic mooring program — managing field operations and hiring seasonal staff for the various research needs. She and her team used scientific instruments attached to moorings to monitor temperature, salinity, currents, and other basic parameters to examine the long-term nearshore oceanographic patterns. After more than a decade away from home, Kim and her husband Mark began looking at moving closer to family. They had been searching everywhere from North Carolina to Texas when her husband, a fish biologist, got a job in Fairhope, Alabama. Kim had been teaching biology at a local community college when she chanced upon a Craigslist ad for a marine debris job at NOAA. She was hired in 2013 as the Gulf of Mexico regional coordinator for the Office of Response and Restoration Marine Debris Program. It was a good fit given her previous work with marine debris,and she again felt her life was coming full circle. In 2016, Kim gave birth to her first daughter, Amelia, and was pregnant with her second daughter, Eliana, six months later when she decided to take a step back to focus on her growing family. Kim took a year off from work before starting her own company taking on freelance projects. She was approached about a project for the new Disaster Preparedness Program by her previous employer, Genwest — a contract company that handles a lot of projects within NOAA. Kim was asked to create a platform to help coordinate response efforts during a disaster. This platform, the Disaster Coordination Dashboard, is now the central tool used for disaster coordination in the National Ocean Service. The NOS Disaster Coordination Dashboard was put to the test during the National Level Exercise in May 2018. Kim flew to the NOAA headquarters in Silver Spring, Maryland and helped the Disaster Preparedness Program team put it to use. From that point forward, every time there was a storm, Kim helped to set up the dashboard. With one exercise and seven named storms on the board in its first year, the dashboard proved its worth. From her work on the dashboard, Kim had already worked closely with the Disaster Preparedness Program’s Kate Wheelock and Charlie Henry when she discovered they were looking for an emergency management planning specialist. “Having started my career out with NOAA, it just feels like home to me to work with NOAA again,” Kim said. On Kim’s first day in her new role, she got to experience the dashboard in action once again as NOAA responded to Hurricane Michael. The dashboard has received quite a bit of action during this past hurricane season, Kim said, adding that it’s been a great opportunity to continue improving it as a response tool. In addition to her continued work on the dashboard, another big part of Kim’s new job will be training coordination. In this role, Kim will be coordinating classes such as Science of Oil Spills, NOAA-Specific Incident Command System 300, and Science of Chemical Releases. Kim really values community involvement and outreach and sees preparedness as an important topic that everyone can get involved in. “What’s really neat is that the Disaster Preparedness Program is a new program, so there’s a lot of opportunity to grow and change. To get to be a part of that is really exciting, and to think strategically about what role we can play as a program for OR&R and NOS [National Ocean Service],” Kim said. 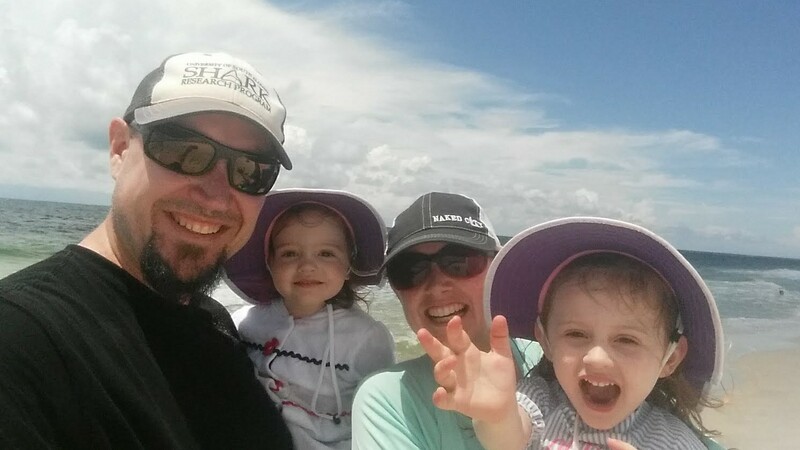 When Kim isn’t working or busy taking care of her growing family, she enjoys spending time at the beach, surfing and paddleboarding. 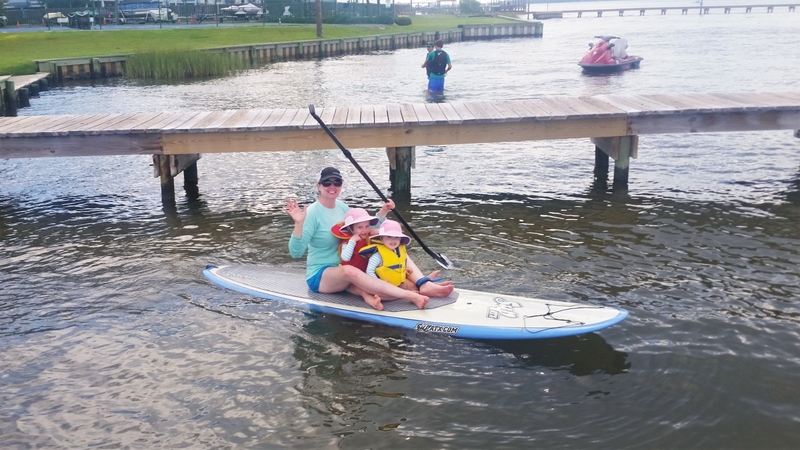 She hopes to share her love for paddleboarding with her daughters when they are old enough to swim, and she looks forward to the day when the whole family can do diving operations to collect seaweed together.